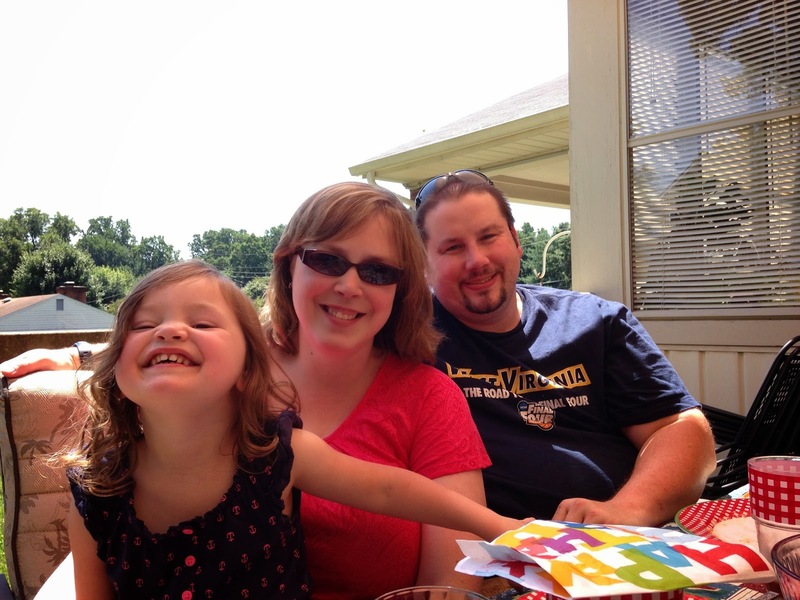 My family spent some time together on Saturday. We swam at the pool where my grandma lives. 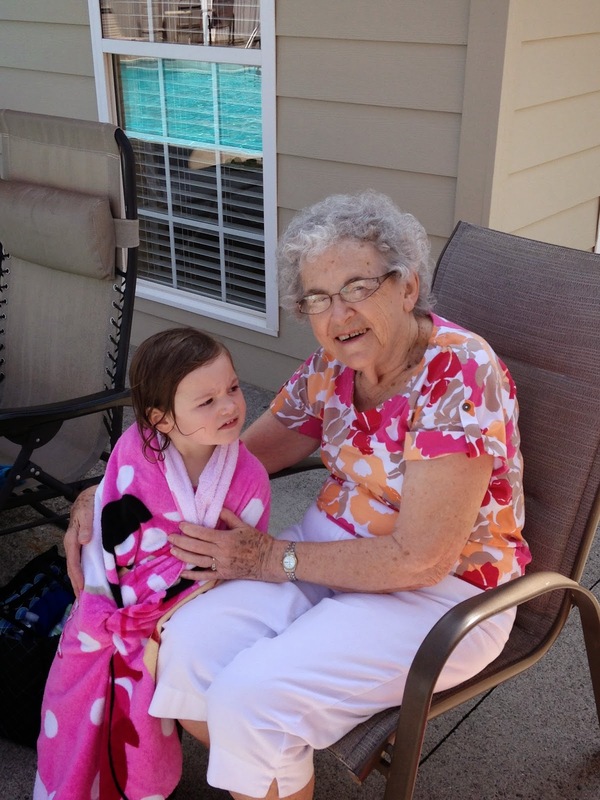 Here's my niece with her great-grandma. My birthday was last week, so along with the swim, we had a picnic. Katie loves having her picture taken! I watched my niece and nephews for a little while last Sunday evening. Micah screamed every time I put him down, so instead I received lots of cuddles! You can see the tears on his cheek! 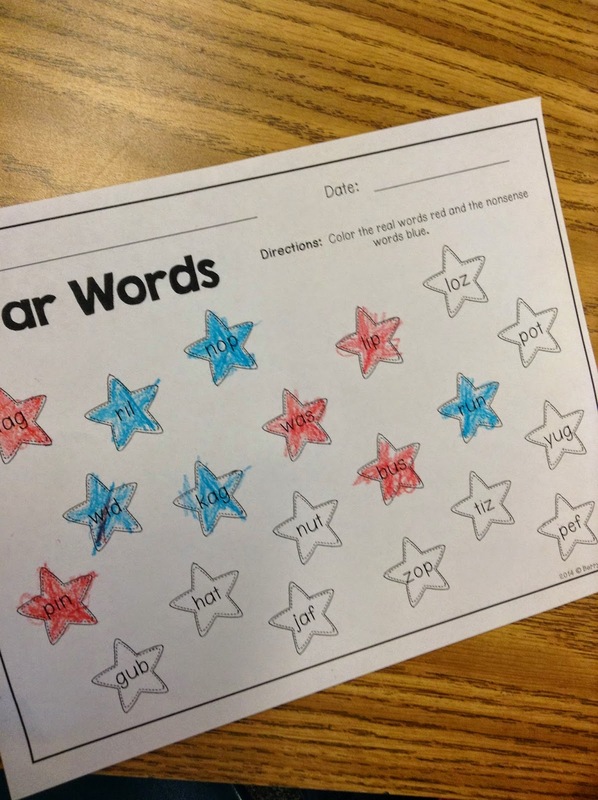 We started working on nonsense words this week. My first graders are fabulous readers already and have been rocking this out! I am so proud of them and kudos to our kindergarten teachers! 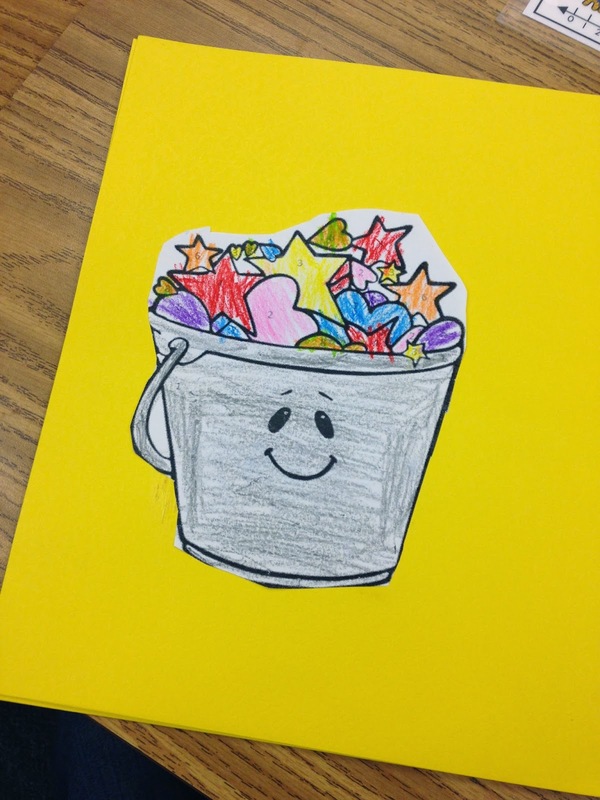 We read Have You Filled a Bucket Today? yesterday. 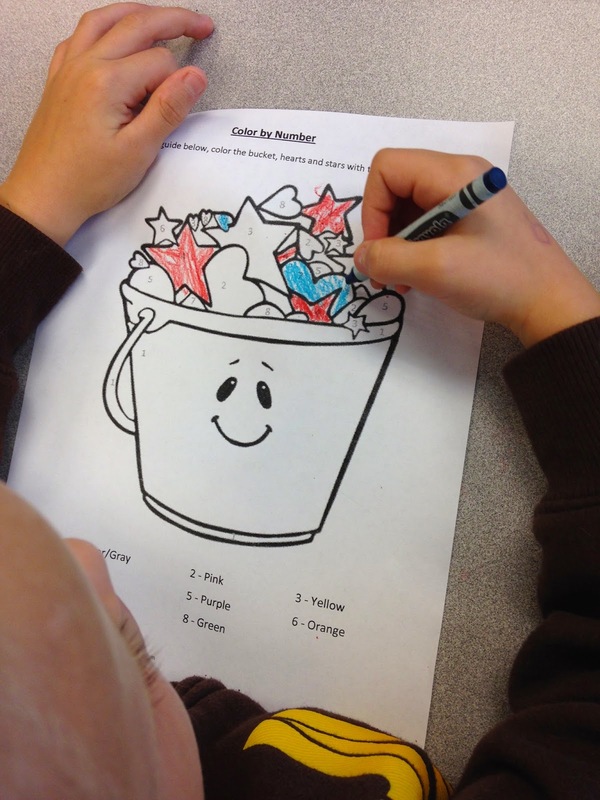 Then we colored buckets and attached them to the front of pocket folders (no space in my room for buckets!). 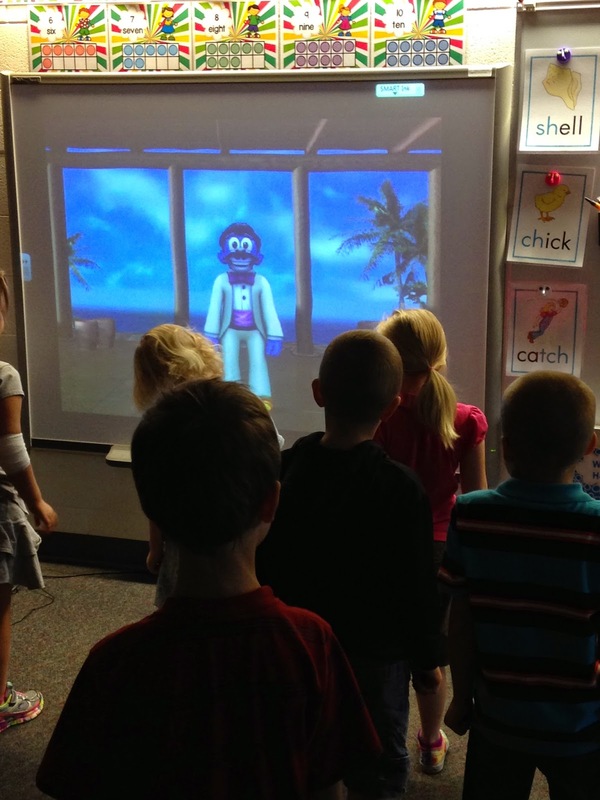 We LOVE Maximo from GoNoodle! He has been part of our Morning Meetings this week! Our classroom teachers have been going through training by Responsive Classroom in the last couple of years. During the training we had this summer, the concept of student choice was brought up. During a vertical team meeting at the beginning of the school year, the kindergarten and first grade teachers decided that we could do student choice during math centers on Fridays. We took the plunge today! 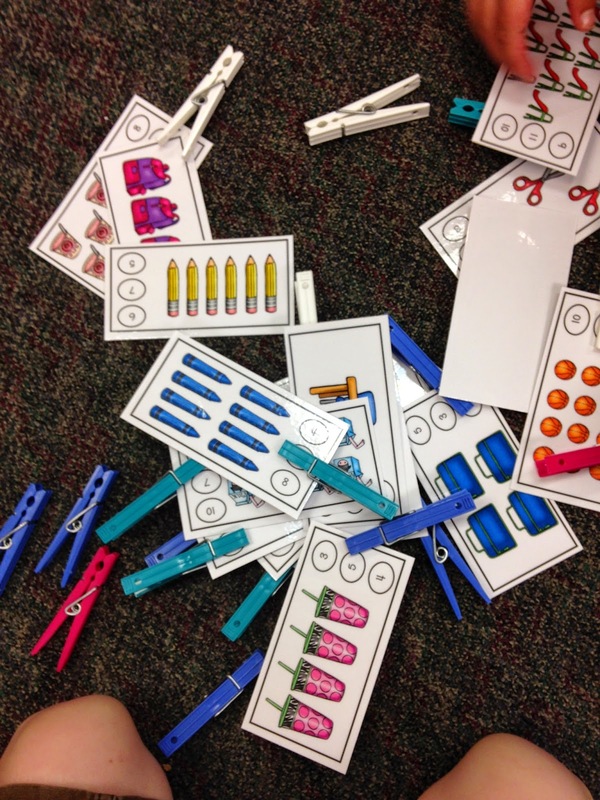 The children could choose where they wanted to start - 3 centers and 15 minutes at each center. There could only be 5 at each center (because I had 5 iPads to use). I randomly chose name cards and they chose their center. The ones at the end were excited that they were at the seat work center with me because that's what their first choice was! 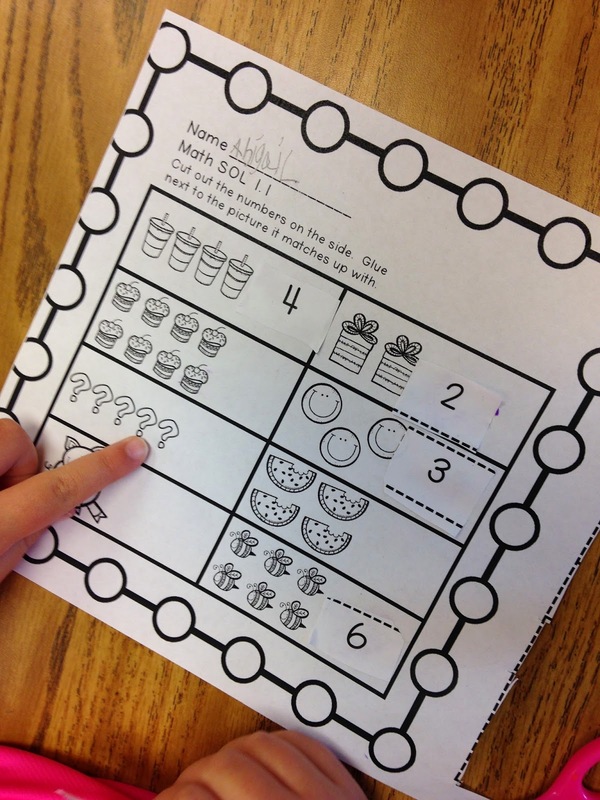 Such sweet firsties! 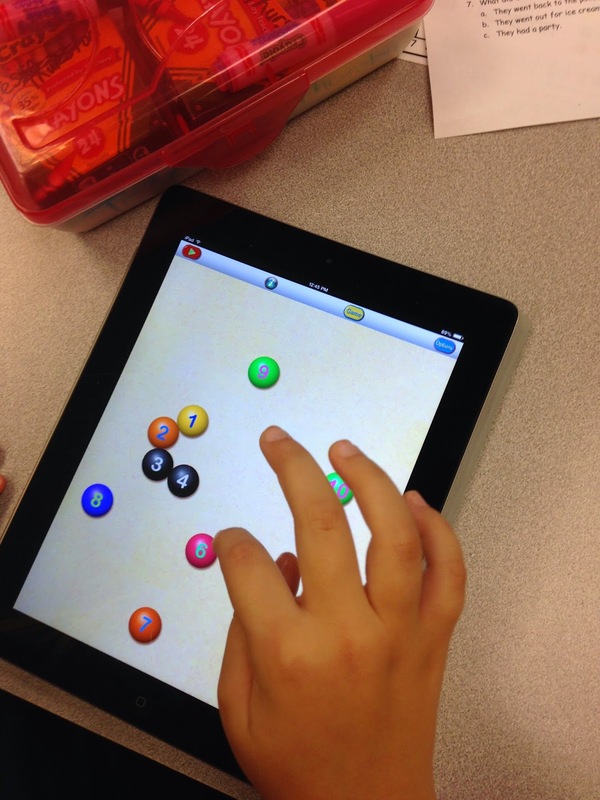 We have a lot of math apps on the iPads. The students could choose which one(s) they wanted to play. Clipping numbers after counting the pictures - game center. Count the image and glue the number that corresponds - seat work center with me. 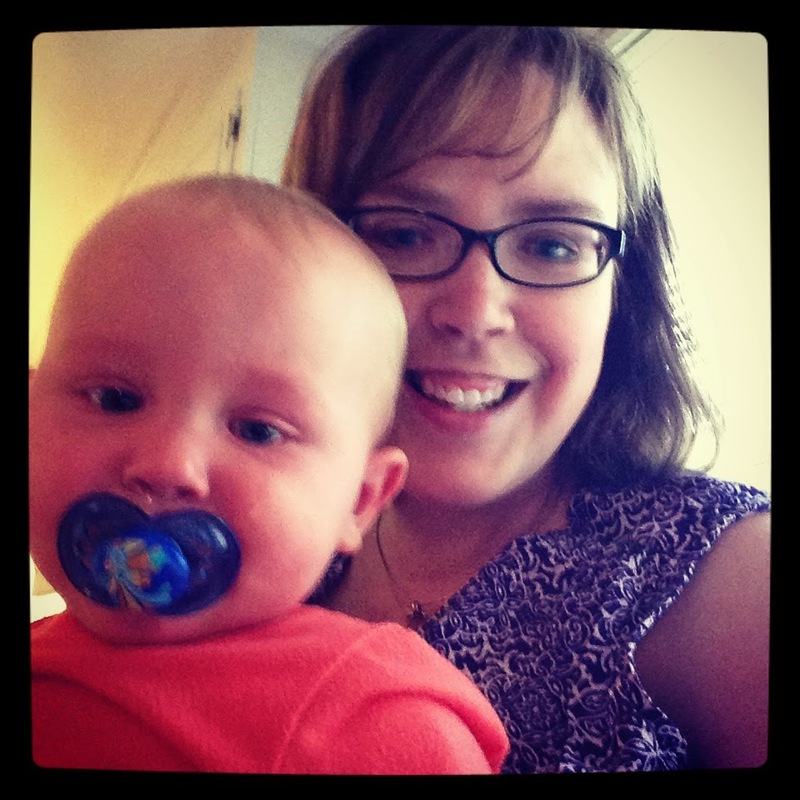 The moms of two of our staff members have recently learned they have breast cancer. 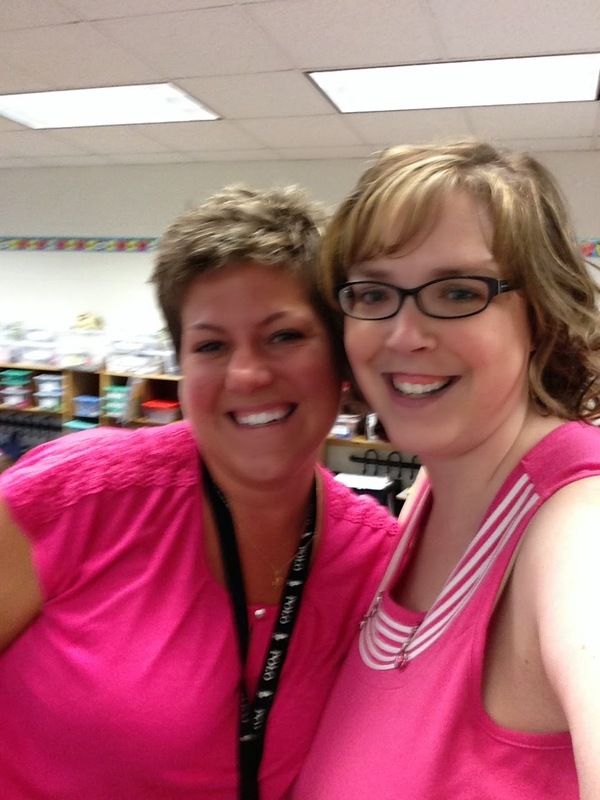 One of the moms had surgery this week and we wore pink to support our co-worker and her momma. We took a staff picture this afternoon. With the para in my room - she's fantastic! What a busy week! I hope you have a great weekend! 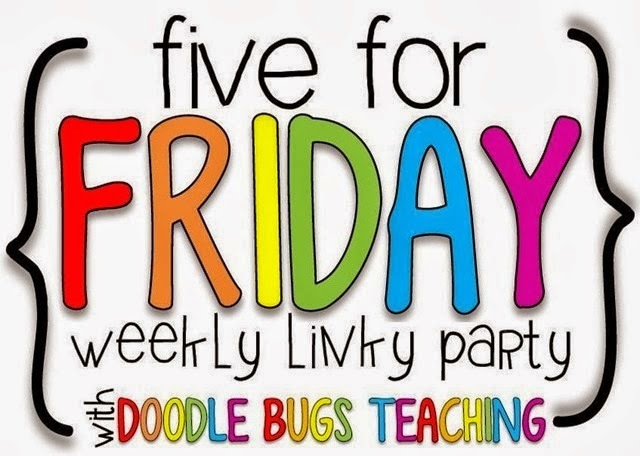 Just stumbled on your blog at Doodle Bugs "Five for Friday". 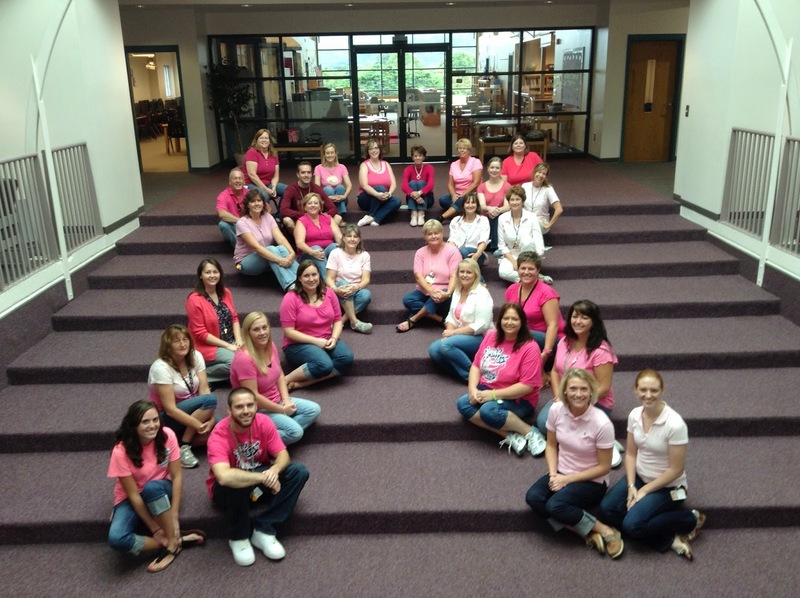 I LOVE your picture of you and your staff friends wearing pink in honor of those mothers. They must be so touched. :) Good luck next week! Your pink staff picture is so pretty. It's always so nice to see a school come together and support their own "family" members. We have been loving Maximo!